If you were waking up on the 15th of April 1912, you may be excused for assuming that somebody was playing a belated April fool’s joke upon you. After all, the “unsinkable” ship managed to meet its demise in the unlikely form of an iceberg and descended into its watery grave in just a matter of hours. But not everyone on the ship experienced this in the same way, If you were a third class passenger your chances of survival were unlikely in comparison to the higher chances of the upper class. This was due to the very formation of the ship, with each of the decks descending in class order. Furthermore, if you were a male passenger, your chances were even slimmer due to the age old policy of ‘women and children’ first. The sinking of the Titanic was tainted by class hierarchy both in terms of division on the ship, and in terms of how it was reported by the media to the general public. 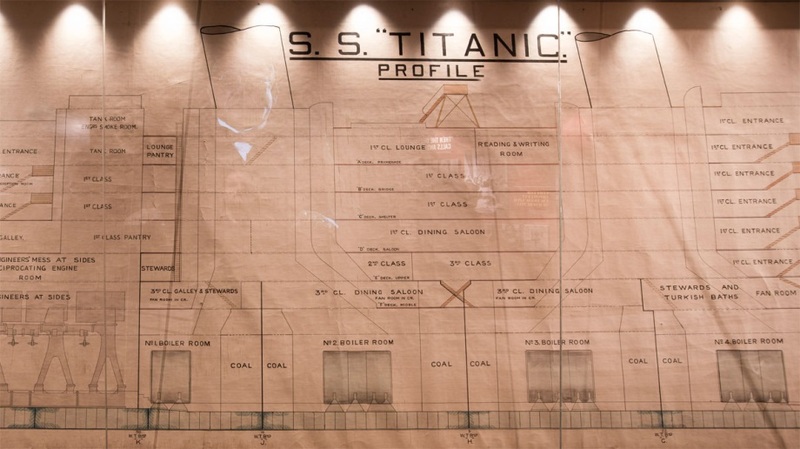 Source 1: A blueprint of the layout of the floors on the Titanic. On the left the only flight of stairs from the lower deck can be seen. 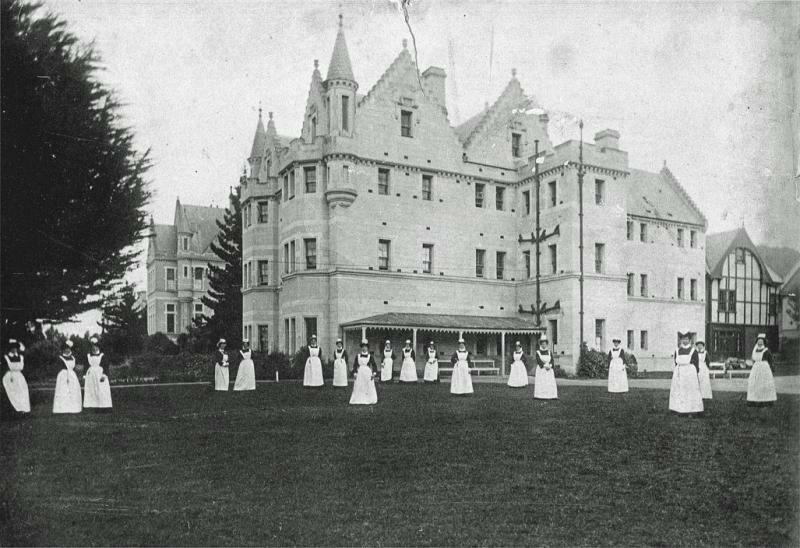 With this in mind, the Astor family, owners of the Waldorf Astoria hotels in New York, proved the suggestion of the link between the lower down the deck – the lower the class in society, consequently the less likely you were to survive. The wealthy Astor family, were staying on the ‘C’ deck in first class (the deck belonging to first class that was the furthest down.) Therefore, this suggests that the death of John Jacob Astor may have been due to the inability to get to the upper deck, and to get to one of the few lifeboats available. However, John Jacob Astor was one of the few deceased that received a personal mention in the papers, as well as his surviving wife receiving a column. This was not due to him being just a popular man, although he had received tremendous recognition from the Spanish-American War and being granted the status of colonel, he received this media attention due to his class and more importantly his wealth. This showing how although situated in first class, it can be assumed that Astor was still restricted in his efforts to escape due to the poor layout of the ship. And from Source 2 it can be seen that he risked his life, like many men, for the sake of women and children, proving that gender was a contributing factor to survival on the Titanic. Figure 2 is front page of The Call. 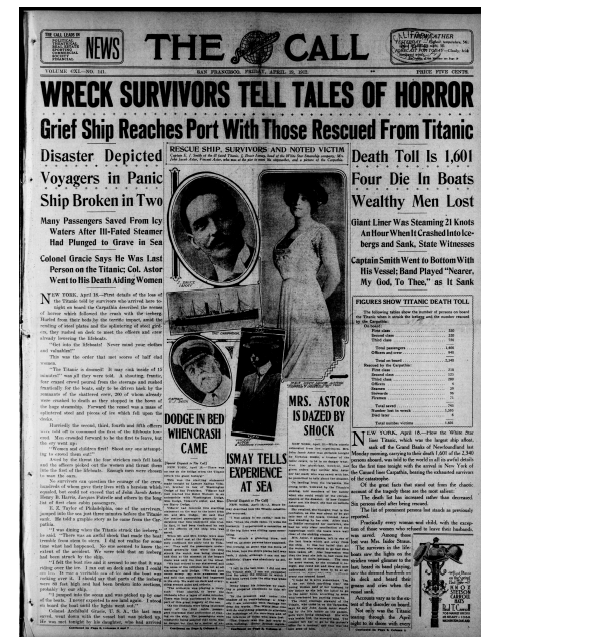 Note the headline ‘Wealthy Men Lost,’ just under the death toll. The wife of Mr Astor, Madeline, who was aboard the Titanic with her husband, did survive. Therefore, this, along with Source 3, shows the difference between the sexes surviving, suggests that although the chances of survival were thin for lower class, they were also slim for the males on board. As even a man of such high status, could not escape the peril of the sinking of the Titanic. The Titanic will remain a haunting disaster. Yet, what seems the forgotten tragedy is the way in which class division had its place during and after the disaster. 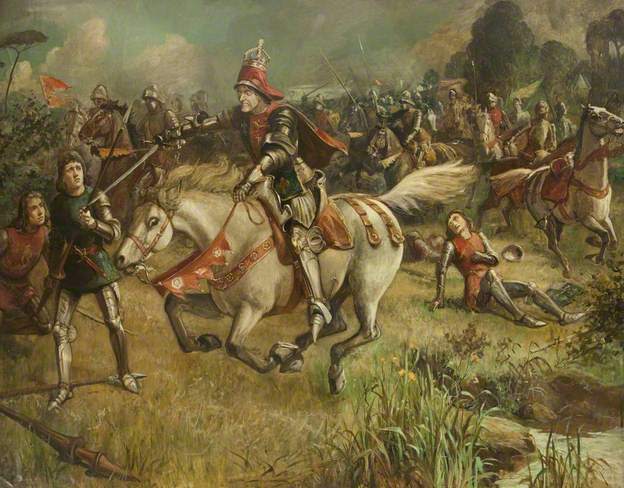 Yet for those who were male, as well as a part of the third class, had little chance of survival. 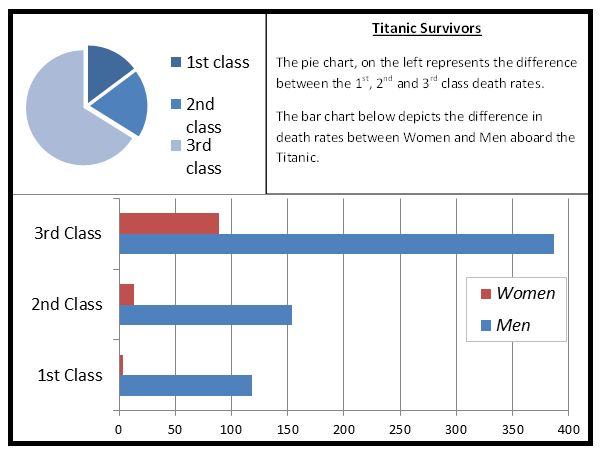 Unfortunately, the importance of hierarchy and divisions amongst classes on board the Titanic can be seen as a microcosm of British society at this time. However, in the case of the Titanic it is evident that social class was a matter of life or death. The Battle of Stalingrad is a prominent example of civilian disaster and involvement in a dark period of European history. Lasting five months, the majority of the civilian population did not leave their city, continuing their jobs and supporting the war in their way. This period of European history is well documented, therefore demonstrating the wide reaching influence of a heroic civilian population outside its own country. 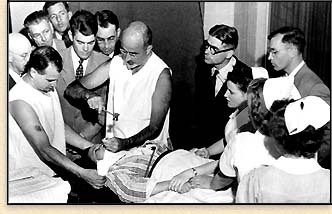 Why did these civilian acts of heroism create so much interest on a global scale? 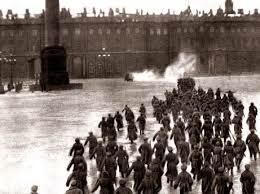 Hitler’s ferocious invasion on Stalingrad forced civilians to be influential in the outcome of the battle. The participation of civilians can be partly based on desperation for the need of soldiers and partly due to Stalin forbidding the evacuation of civilians . However, the German historian Lubbers states that ‘thousands of civilians fled from the battle’ thus creating a conflicted image of the role of civilians. The source below would provide evidence that despite the mass destruction, not all civilians did indeed evacuate despite the dire circumstances, thus suggesting that civilians were under the influence of discipline or held a sense of patriotism which kept them within the city. 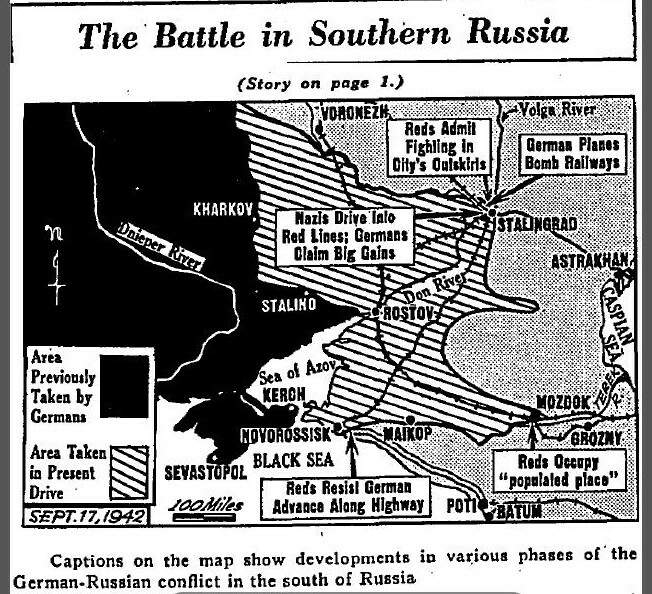 Contemporary newspaper reports provide evidence of collaboration between the Red Army and civilian forces in defending the city. In this interpretation the role of civilians became increasingly militarised beyond a militia, enhancing their role in the battle of Stalingrad. Although most civilians of Stalingrad were evacuated before the city was besieged, it would have been impossible to save them all. Any civilian survivors endured hell to stay alive. The death of innocent civilians was just one of the factors that spurred the Russian soldiers to fight so ferociously; snipers such as Vasily Zaytsev stated they often saw dead children hanging from trees in parks through their scopes. The beach heads of the river Volga were littered with the mutilated bodies of women and children who had fallen victim to German artillery and air strikes. The death and destruction left behind after the German occupation of the Soviet Union led to the merciless acts of the Red Army during the later occupation of Berlin. The events of Stalingrad greatly damaged the civilians and soldiers of both the Red Army and Wehrmacht, in extreme cases the harsh weather conditions and lack of food caused soldiers as well as civilians to resort to eating the dead . The cannibalism, although not on a mass scale, represents the desperation and suffering implemented by the German advance. Hitler perceived the city as a priority as Stalingrad was Stalin’s city; the heart of communism. For the exact same reason Stalin perceived Stalingrad as a priority to hold on to, in order to save communism. The result was catastrophic. Stalingrad’s civilian resistance was renowned globally as being one of the most courageous populations throughout the Second World War. While the loyalty of civilians towards Stalin, through either fear or love, can be called into question, their willingness to fight was unprecedented. The source below was written by typists in Britain and pits the civilian involvement at the same level as that of the soldiers. 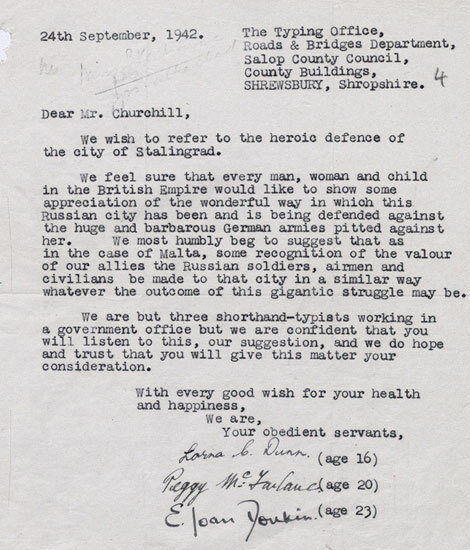 This letter epitomises the civilian involvement in Stalingrad by recognising that the civilian’s involvement in the struggle was just as key to the defence of the city as the soldiers. Other international responses were more direct such as one hundred and fifty Canadian people volunteering for a winter clothes appeal for the homeless and orphans of Stalingrad. The plight of the civilians within the battle rallied international response, whether it was a recognition of their effort such as in Britain, or a response of aid sent by Canada thus proving how civilian effort did not go unnoticed. 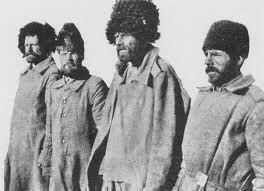 In conclusion, the civilians of Stalingrad were instrumental in the defence of the city. Without such ferocious determination in defying Hitler and the support of their nation, then the population of Stalingrad would have been eradicated. This stand against a fascist regime led to international recognition and global support. 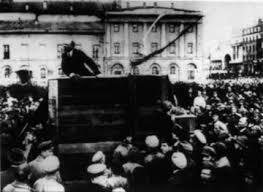 Although suffering through great atrocities their resolve remained unchallenged and ultimately they prevailed. The Bismarck: Sunk of Scuttled? The sinking of the Bismarck in May 1941 was critical to the Battle of the Atlantic. This poignant event in Britain’s war for survival is one which sparked great debate (http://www.armchairgeneral.com/forums/showthread.php?t=130538). We chose the Bismarck’s demise in order to shed further light on this controversial event. 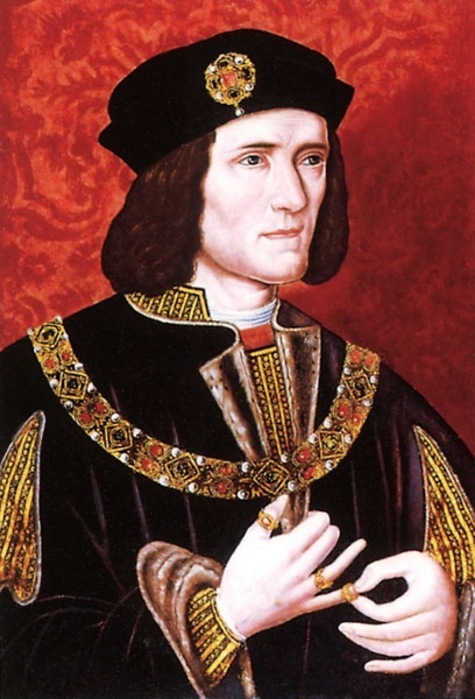 We did this in two ways, firstly through the analysis of primary sources consisting of newspaper articles, and memoirs of men who partook in the events. These were then contrasted with secondary sources such as; the 2002 documentary produced by James Cameron and the 1960 feature film Sink the Bismarck. The analysis of these sources has allowed us to assess the different views that have been expressed over the several decades and how these have changed with time. 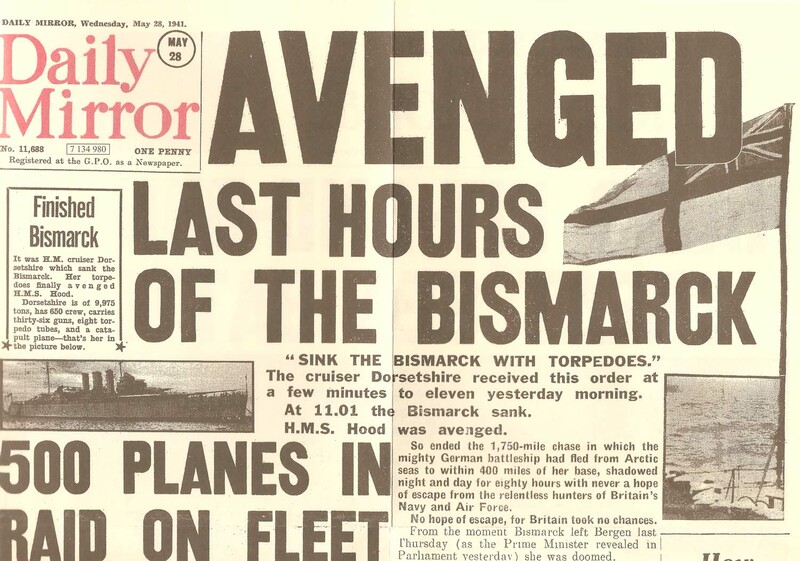 British newspaper The Daily Mirror carrying a front page story of the sinking of the Bismarck. The evidence compiled traced events from the sinking of HMS Hood, to the ensuing Pan-Atlantic chase and the Royal Naval aircraft assault, before the Bismarck was eventually sunk. One of our key sources was a British newspaper report of the sinking of the Bismarck. The report is arguably an extravagant piece of propaganda, used to bolster the morale of the British people when serious defeats were being suffered on all fronts. The report sees the sinking of the Bismarck as a great blow to the German war machine dealt by the Royal Navy, describing how she was surrounded and sunk, in turn avenging HMS Hood. The press did much to publicise the news, particularly since the sinking maintained British naval supremacy, and owing to the fact that the Bismarck was the pride of the German Kriegsmarine, and was proclaimed to be unsinkable. The newspaper report we collected was not too dissimilar to the story being told during the 1960s with the film Sink the Bismarck, which starring Kenneth More, told of the events surrounding the sinking of the Bismarck and held the typical British view of the German battleship being sunk by the Royal Navy. This was particularly interesting as the war had been over for 15 years, and propaganda telling of great victories over the enemy was unncecessary, yet the film was made using British sources to tell of the sinking of the Bismarck. 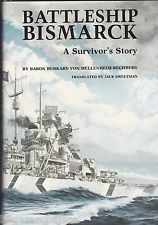 Memoirs of Burkard Baron Von Mullenheim-Rechberg who was a crewman aboard the Bismarck. 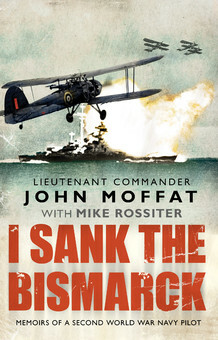 Memoirs of British Swordfish pilot John Moffat who partook in the action to sink the Bismarck. We contrasted the views of a German crewman aboard the Bismarck and a British Officer claiming to be the torpedo bomber pilot who damaged the rudder to the German battleship rendering it immobile allowing for the sunbsequent Royal Navy capture and sinking of her. Our post-analysis conclusion was that the account from the German sailor,Burkard Baron Von Mullenheim-Rechberg who was the Aft Fire Control Officer, (Pictured left) is a more reliable source regarding the events surrounding the sinking of the Bismarck as he was an officer aboard the German battleship. He was thus aware of most orders that were given around the ship, including the supposed order to scuttle. By contrast, the British pilot, John Moffat, merely relays his events of the torpedo attack before describing how on May 27 he flew at a distance from the Bismarck and the British fleet and watched the events unfold. He described how he watched the British battleships and crusiers pound the Bismarck before she finally sunk after HMS Dorsetshire fired a volley of torpedos. He was not aware of what was occuring aboard the Bismarck itself and only relayed an external viewpoint. The source from the British pilot (Pictured above right) written in the 2000s, shows the typical British view of the sinking. 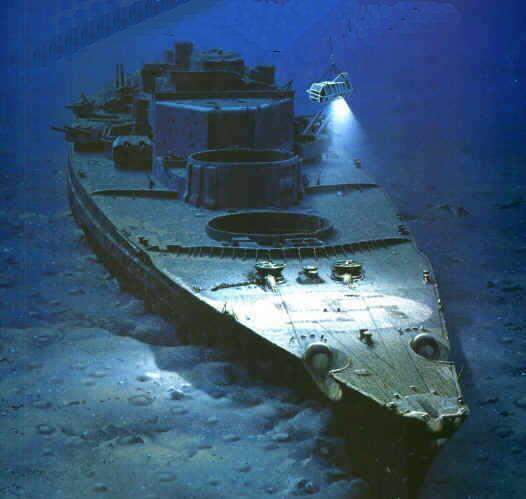 Our research also led to us viewing a documentary produced by American the film director James Cameron who, using Remote Operating Vehicles, dived on the wreck of the Bismarck surveying the damage that the ship had received. The documentary looked at the respective German and British perspectives of the sinking, which were similar to those mentioned in our earlier sources, and helped to form the basis of our conclusion on the subject of whether or not the Bismarck was sunk or scuttled. Cameron’s documentary contained striking images of the wreck of the German battleship and took the viewer into the bowels of the ship. The visual evidence yielded by this documentary supports the claim that the Bismarck was scuttled as the outer armourbelt was undamaged, despite the British torpedo impacts and shelling. However, the inside compartments had been severely damaged as if an internal explosion, or a series of internal explosions, which caused sufficient damage. The wreck of the Bismarck as viewed by James Cameron and his expedition team. We asked the question of whether or not the Bismarck was sunk or scuttled. We found that the evidence, particularly from newspapers and the testimony of the veterans who partook in the events are contradicting, but that visual forensic evidence does support what the German veterans have always maintained; that the Bismarck was scuttled. Arguably the Bismarck was always going to sink through the Royal Navy’s bombardment; however, the scuttling charges merely hastened the sinking. Therefore, we conclude that the Bismarck, despite the British claims, was most likely scuttled. With the sinking of the Bismarck, of her company of 2,065, only 116 men survived to become Prisoners of War.